So...Gio. So...Gio. Soooooo....Gio.I'm not sure what to say.Usually, this type of reaction comes from me not being able to express how a book made me feel because it was incredible. In the case of Gio, I'm finding myself unsure how to convey that I liked a book fine without making people think I didn't care for it.We'll start with the cheatingCall it a spoiler if you want to but I can't. Any time a person picks up a book about a trigger subject, it's probably a good idea for them to know ahead of time that it's going to happen. And it happens. And happens. And happens.I can't say that it bothered me to the point of wanting to rant over the behavior. The book Thoughtless sort of set the gold standard for what not to do in a relationship when it comes to cheating. Any other book with this subject will probably never rile me up the way Thoughtless did. However, this doesn't mean that I excuse the behavior. What is it with people in relationships where they can't just make a choice and live with it? Cheating happens. It's not a random and isolated thing. I've done it, you might have done it...I just personally have a bit of a pet peeve with people who cheat and cheat and cheat. If nothing else, call off the relationship and give yourself time to figure out who you should be with. But...I also get that thinking doesn't always come into play when emotions are on the line. 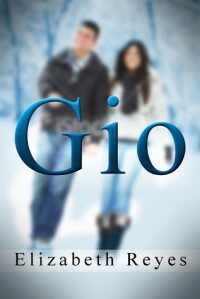 Gio allowed himself to be the mistress so I can't lay the blame solely on Bianca.How was the love story?It was fine. I didn't feel the same sense of passion that I felt while observing Roni and Noah fall in love. If anything, I've decided that I like Noah even more than I originally thought, so I'm about to go raise my rating from a 3.5 to a solid 4 star. Gio was adequate enough and I had no big complaints. This author has a writing style that's enjoyable and easy to read. I will be happy to continue on with her books because it will be nice to see the rest of the 5th street boys find love.